Sweeping in scope, as revealing of an era as it is of a company, Stagecoach is the epic story of Wells Fargo and the American West. The trail of Wells Fargo runs through nearly every imaginable landscape and icon of frontier folklore: the California Gold Rush, the Pony Express, the transcontinental railroad, the Civil War, and the Indian wars. From the Great Plains to the Rockies to the Pacific Ocean, the company's operations embraced almost all social, cultural, and economic activities west of the Mississippi. As its reputation for speed and dependability grew after the Gold Rush, the sight of a red-and-yellow Wells Fargo stagecoach racing across the prairie came to symbolize faith in a nation's progress. For a time, Wells Fargo was the most powerful and widespread institution in the American West, even surpassing the presence of the federal government. Stagecoach is a fascinating and rare combination of Western and business history. Along with its rich association with the frontier, readers will discover that swiftness, security, and connectivity have been constants in Wells Fargo's 150 years. 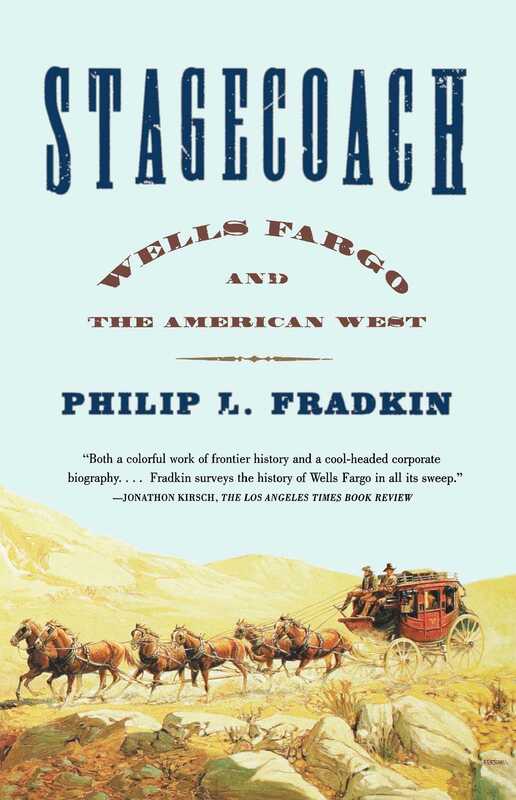 Jonathon Kirsch The Los Angeles Times Book Review Both a colorful work of frontier history and a cool-headed corporate biography....Fradkin surveys the history of Wells Fargo in all its sweep. The Economist Fradkin has neatly compacted this sprawling history into a slender volume. Michael Carlson Financial Times (London) This lively history...is as much a story of corporate machinations back East as it is of adventure in the West....One relishes the anecdotes about heroes who ought to be better remembered. The Wall Street Journal A great story of brave spirits in the American West, and of entrepreneurial spirit as well.